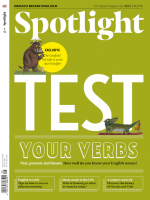 How confident are you using different verb tenses in English? In one of our recent language features, “Grammar made simple”, we presented an easy guide to the main tenses in English. Here, you can check what you remember.